Our small company has been in business on Kauai since 1994. We started primarily as a furniture manufacturer, but as the economics and availability of Koa lumber changed through the years, so did we. Now we craft and retail gift products out of the more readily available shorter Koa lumber, ensuring no waste from the mills on the Big Island. 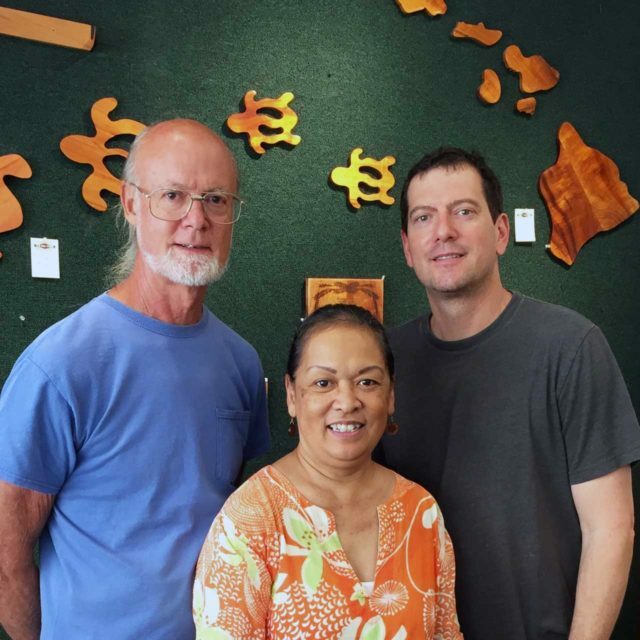 We provide our customers with a well made, reasonably priced, hand-made Koa gift from Kauai. Our philosophy has always been to provide the lowest price and best value that you will find in the state of Hawaii for Koa products. 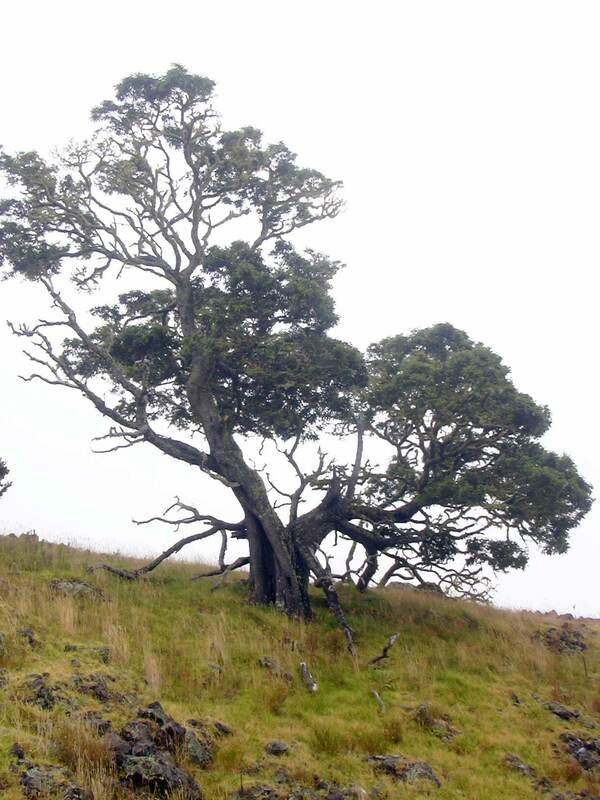 Acacia Koa is the largest and best known endemic tree in Hawaii – the species does not exist anywhere else in the world. The largest stands grow naturally from 2,000 to 6,000 feet in elevation. Koa is a relatively fast growing tree that can attain heights of up to 100 feet, with a trunk diameter of 6 feet or more and a canopy of over 50 feet in diameter, though the majority of trees are much smaller. 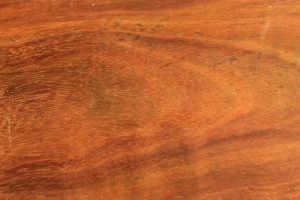 Although a tropical hardwood, Koa is a medium density wood that is exceptionally stable, works well and takes an exceptional finish. 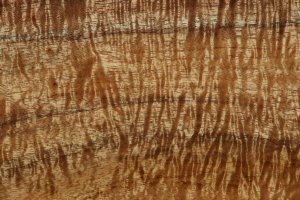 Due to the unique cell structure of the wood, Koa has a three-dimensional quality and, depending on the viewing angle, can change its character, much like an Opal gemstone. In color, Koa can range from light brown to deep rich red and chocolate hues, with the sapwood occasionally an irridescent white. Koa’s color and character depends on where it grows and literally, what it drinks, as soil moisture and mineral content vary. The ancient Hawaiian cultures had a deep spiritual link to the native Koa forests and used the wood of the Koa tree for bowls, surfboards, paddles, ceremonial vessles (Calabash) and canoes, to name a few uses. The Canoes were carved out of a single tree which was carefully chosen and tended for its physical and spiritual characteristics. Today, Koa is one of the most prized and expensive woods in the world and is used for fine furniture, pens, jewelry boxes, musical instruments, picture frames and more. The Koa tree is not rare in Hawaii and is found on all major islands. However, the wood is difficult to obtain due to the fact that logging is not allowed on State or Federal lands. Also, the private lands on which logging is allowed are often located in remote and inhospitable locations. Koa logging is very much a reclamation effort, salvaging down or dying trees. A healthy, thriving Koa tree is rarely cut. Contact us or come into the store! See our collection of beautiful, affordable products and see our craftsmen through the window to the workshop. Click the pin on the map below for driving directions.